People who have recently immigrated to Canada are four times more likely to be unable to swim and yet very few courses aimed specifically at newcomers are offered in Manitoba. People who have recently immigrated to Canada are four times more likely to be unable to swim, yet very few courses aimed specifically at newcomers are offered in Manitoba. 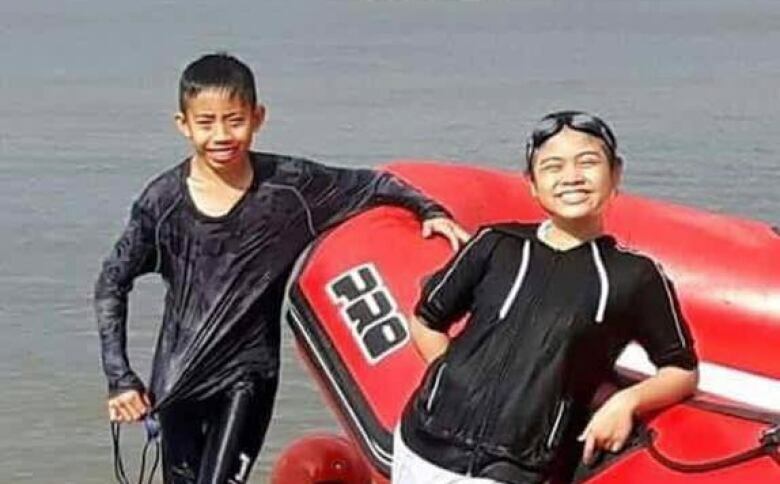 The drowning of two children, David Medina, 12, and Jhonalyn Javier, 11, at Grand Beach on Monday highlights how quickly peril can strike in the water. Both children had immigrated to Canada from the Philippines with their families. CBC has not be able to confirm yet whether the children knew how to swim or whether they took swimming lessons. A 2016 report by the Lifesaving Society of Canada says new Canadians age 11 to 14 are five times more likely to not know how to swim compared to their Canadian-born counterparts. Chris Love, Lifesaving Society Manitoba's water smart co-ordinator, said swim classes for immigrants are something that could help save lives. "We don't have that funding yet in Manitoba, and it is something that we continue to work towards," Love said. In Ontario, especially in Toronto, a number of pilot programs have been set up to fill the gap in swimming skills, he said. The programs introduce swimming to people who may have never experienced being near or in a body of water before. Manitoba offers no year-round swim classes specifically for newcomers and in Winnipeg, classes are only offered in English and French. The Immigrant and Refugee Community Organization of Manitoba [IRCOM] had a program at Sherbrook Pool that offered swim classes for new immigrants, but the program was suspended when the pool was closed for renovations in 2012, said Abdikheir Ahmed, a co-ordinator with the Immigration Partnership Winnipeg. "Since then there is nothing that's existing in the community," he said. 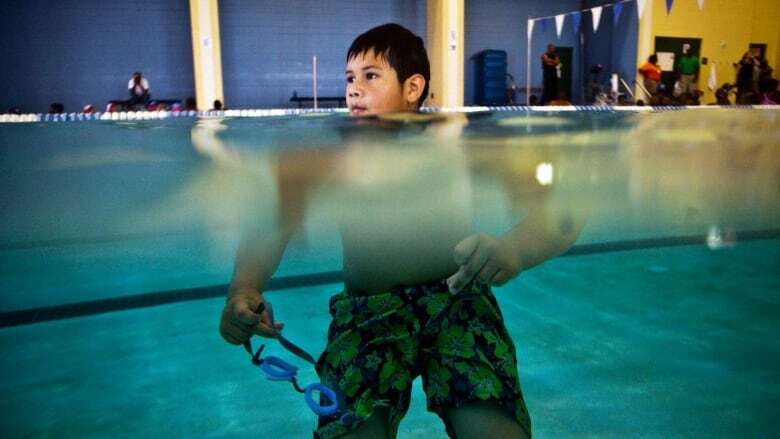 Marko Gjuric, IRCOM's manager of after-school programs, told CBC they have organized some classes since then at other pools but nothing regular or year-round. IRCOM has no swim class lined up for next year yet, Gjuric said. "It's rather unfortunate because … newcomers need additional supports to understand living with water. Some people come from places where there's no water, places where swimming is only for very high-income people," said Ahmed. Select schools in Winnipeg do provide Canadian Red Cross swimming classes for students, said the humanitarian organization. The Winnipeg School Division did not respond to CBC's request for comment. Manitoba government officials said swimming is an option schools can offer in physical education classes, but it's not mandated. "However, there are specific learning outcomes in grades 2, 4, 5, 7, 9 and 10 related to safety for water-based activities, such as swimming and boating, that are mandated. Schools choose how to address these outcomes," a government spokesperson told CBC News in an email Thursday. "Swimming has never been part of the mandated curriculum. Activities such as swimming have cost, transportation and safety implications, and schools make local decisions as to what activities and field trips they will have their students participate in." For now, the Lifesaving Society said it visits English as an additional language classes every summer to try to communicate to immigrants, especially parents, the importance of water safety and learning to swim. "Hopefully based upon the information we've provided to them, as part of the presentations that we do, they're going to be a little bit more motivated to go out and follow up on that step," Love said. Nearly every pool in Winnipeg offers swimming lessons and fees for low-income families may be waived. For more information, visit the City of Winnipeg's website.